Improve the efficiency of your fleet now! Fleet managers are under a lot of pressure to increase productivity while decreasing costs. This can be a difficult task given volatile fuel costs, regulatory compliance issues, and many other factors. How to identify the challenges facing fleet managers today. How to get a grip on technological trends that can boost fleet maintenance efficiency. 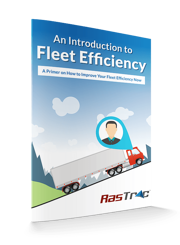 How to improve your overall fleet performance. Download your guide by filling out the form to the right!